Electrocardiography (EKG) Technician is an NJ state licensure and is a very high in-demand occupation with flexible work hours. 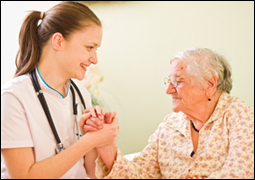 Electrocardiography (EKG) Technician is a very valuable member of the healthcare team. Param Institute of Education provides the highest quality education and help in placement also. Join our Electrocardiography (EKG) Technician Program and open the great doors into the Healthcare Industry with job stability. Contact for course details just today and secure your admission. Q: Who are Electrocardiography (EKG) Technicians? 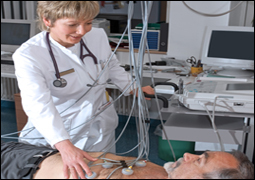 Electrocardiography (EKG) Technicians are healthcare professionals who perform an Electrocardiogram. 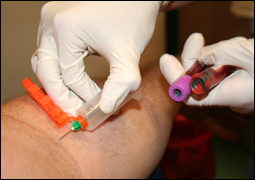 Q: Do you offer EKG Technician Program? Tell me more about it. Yes, we do offer EKG technician program and our program is affiliated by National Healthcare Association (NHA). Q: How can I register for this program? The registration process at Param Institute of Education (PIE) is very simple. Following items are required for successful registration. Proof of high school diploma or high school equivalency. College graduates only need to provide proof of degree/diploma. Q: What are the state requirements for this program? There are no state requirements for formal training or certification of EKG Technicians. The state of New Jersey does not currently require licensing. However, many students choose to obtain a national certification or industry-recognized credential in their field of interest. Not only does a national certification give you the ability to earn a credential, but it also demonstrates a commitment to your profession. Q: What certification exam will I be eligible to take upon successful completion of this program? Upon successful completion of the EKG Technician Certificate program at PIE, you will be eligible to sit for the National Healthcareer Association Certified Electrocardiography (EKG) Technicians exam. Visit the testing organization’s website for the most current information about the certification exam and eligibility requirements. Q: Where do EKG technicians work? The EKG Technicians work in Urgent Care Centers, Doctors’ Office EKG Lab, Hospitals, Clinics, Emergency Rooms, and as a Paramedics. Q: Does the school provide job placement? The College does not provide job placement but career counseling for students is available. Due to the reputation of our healthcare programs, area employers periodically contact us with job opportunities. We notify recent program graduates via email with any job postings related to their field of study. Q: What certification examination will I be eligible to take upon successful completion of this program? Consequently, after successful completion of the Electrocardiography (EKG) Technicians Certificate program eligible student sit for the National Healthcareer Association (NHA) Certified Electrocardiography (EKG) Technicians examination. Please Visit the testing organization’s website for the most current information about the certification exam and eligibility requirements. Q: What additional books or supplies may be required for this program? All textbooks required for this program will be provided by Param Institute of Education. The hours are Monday – Thursday, 9:00 am – 2:00 pm (Day class) and 3:00pm-6:00 pm (Evening class). No additional supplies are required for this program. The Total cost of the Electrocardiography (EKG) Technician program is very small as compared to other vocational-technical programs. For information, please visit our school or call our Admission Coordinator for details.